Several programs are being conducted to upgrade the equipment and systems in old armored vehicles across the globe. Led by the availability of modern and evolved warfare technologies, these programs are driving the growth of the upgrade and retrofit market. Additionally, many countries are expanding their military budgets on account of increasing terrorism and hostile activities. These activities have also resulted in the requirement of frequent repairing and installation of new parts in armored vehicles. Besides, there has been a rise in the demand for low-cost per mile military vehicles. 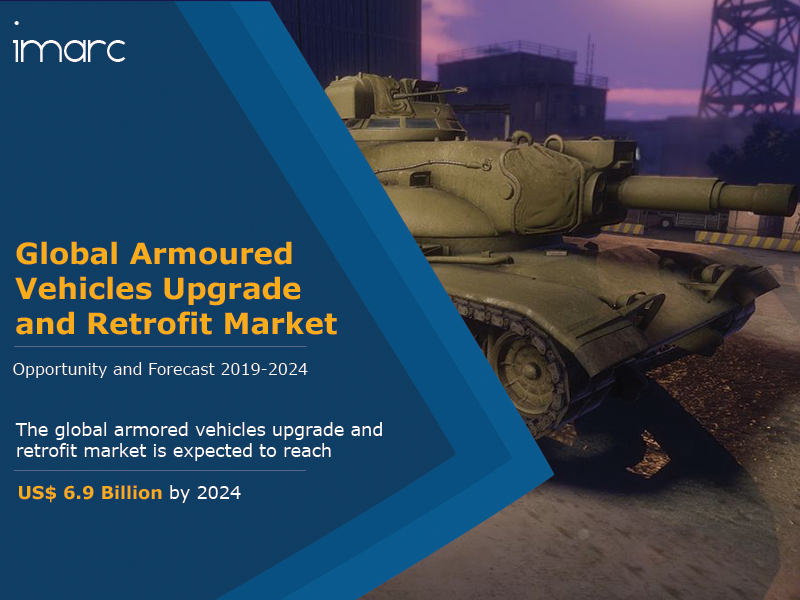 As the processes of upgrade and retrofit are comparatively less expensive than manufacturing a fully equipped vehicle, it has positively influenced the market growth. Moreover, there has been a rise in investments for the advancement of military troop equipment for increased mobility and improved protection of land troops across both developed and emerging economies. Looking forward, IMARC Group expects the market value to reach US$ 6.9 Billion by 2024, registering a CAGR of 3.7% during 2019-2024.